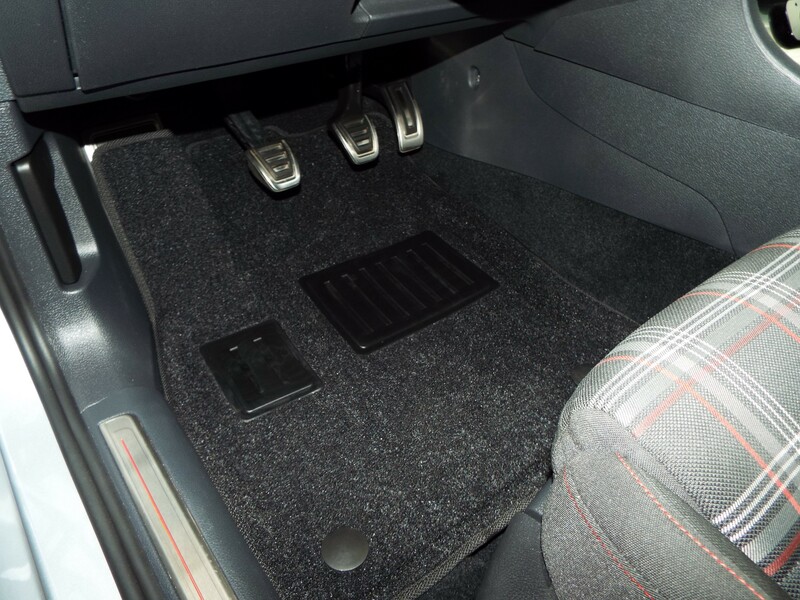 I liked the WeatherTech floor liners I had in my Mk6 Jetta. So getting a set for my GTI last year was a no-brainer. My only gripes about them was their unwillingness to come clean and the lack of traction when wearing dress shoes. My feet just sort of slid around until the liners got a little dirty. Later, I concluded that the dead pedal could use more coverage because a lot of debris slipped behind the liner there. I tripped over a photo of molded waterproof liners by Findway Canada, Inc. Their pricing was too good to not at least try them out. 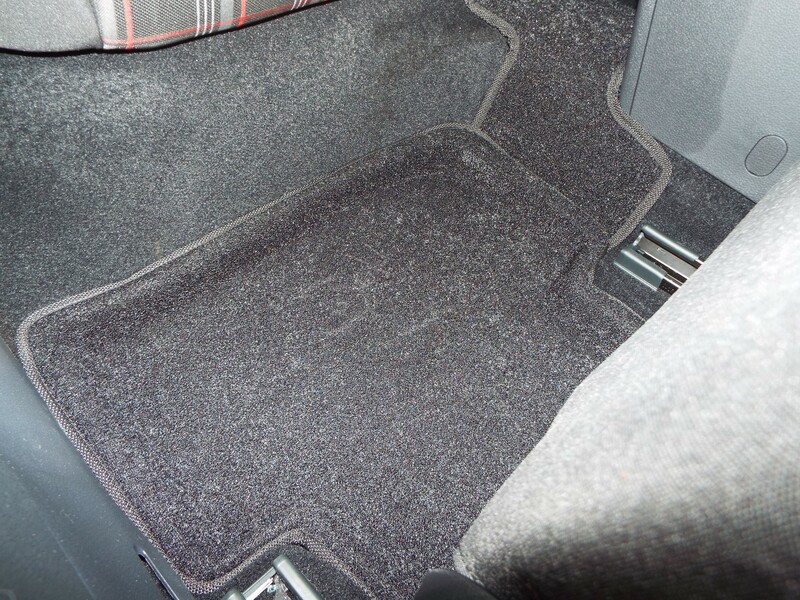 The liners feature a carpeted texture that matches the factory carpet fairly well. The reinforced heel sections look a bit awkward since I’m used to seeing either all carpet or all plastic. But the design is bound to stand the test of time. This video shows how easy they are to clean. They don’t rise as high on the sides as the WeatherTechs, but they cover the same behind the pedals and almost all the dead pedal. See a comparison photo below. They also fit nice and snug. Hopefully, the tighter fit will prevent gravel and leaves from sliding behind the edges. The rear liners come with a center piece that covers the “hump” in the rear floor. It’s unnecessary for me, but may be good for those who have kids who rest their feet there. Winter will be the true test for these liners. They’re made in a place that gets plenty of snow, ice, and salt treatment. So I know they’re up to the task. But I’ll have to wait until we get our own snow before I can feature appropriate photos. See more photos below.